If you want to enable this new picker, without the Chromecast syncing bit, you can do so through a flag in Chrome OS. If you go chrome://flags in the browser, search for “New Wallpaper” to find the #enable-new-wallpaper-picker flag. Once you enable it and restart Chrome, you will get the new look picker. 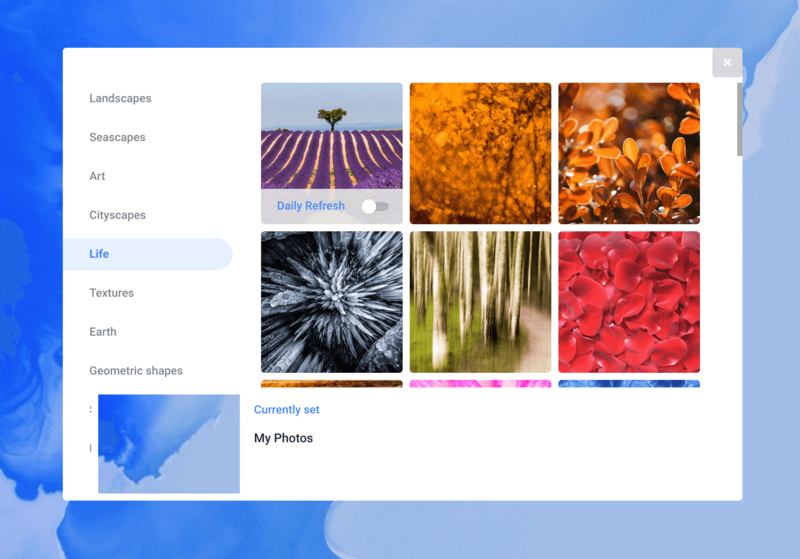 As you can see, you have a lot of different categories to chose from as your wallpaper on your Chromebook and, of course, can select a wallpaper from your local storage or Google Drive it you want to go that route. Eventually, likely in Chrome 68 next month, this feature will be the default setting but why wait when a flag is available today?